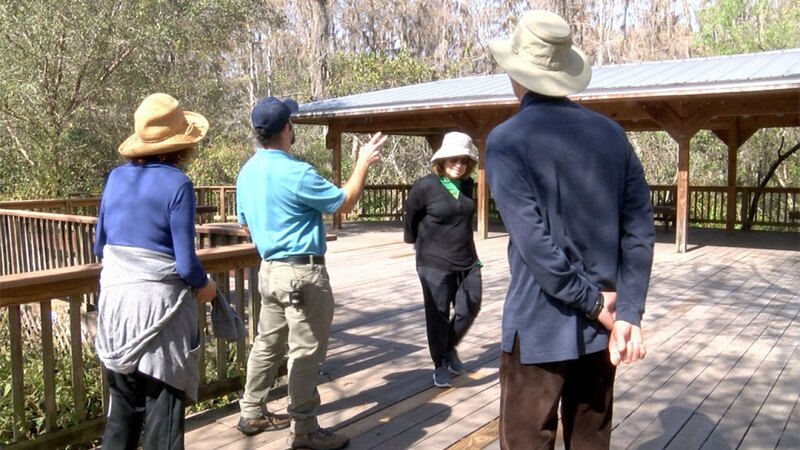 The government shutdown has taken a toll on the Arthur R. Marshall Loxahatchee Wildlife Refuge. For the first few weeks of the shutdown, staff and volunteers could not work. The park was partially opened to some volunteers and a few staff two weeks ago. PALM BEACH COUNTY, Fla.-- The government shutdown has taken a toll on the Arthur R. Marshall Loxahatchee Wildlife Refuge. For the first few weeks of the shutdown, staff and volunteers could not work. The park was partially opened to some volunteers and a few staff two weeks ago. The decision to reopen the government was met with a sigh of relief or the refuge. “January and February are the busiest times for this refuge and people travel from all over the world,” said Bradley Rosendorf. Rosendorf is a member of the Friends of Loxahatchee Wildlife, a non-profit group that helps with refuge. “Extremely important conservation work here was interrupted,” said Rosendorf. He said the shutdown stopped all work involving the biologists, so any studies being done at the refuge were cut off. The butterfly garden was also impacted after weeks of not being watered or looked after. Volunteers were out Friday, trying to get the garden back to normal. Rosendorf said they believe the park lost about $20,000 during the shutdown. He said he is looking forward to all the staff being back so they can get the park back up and running.